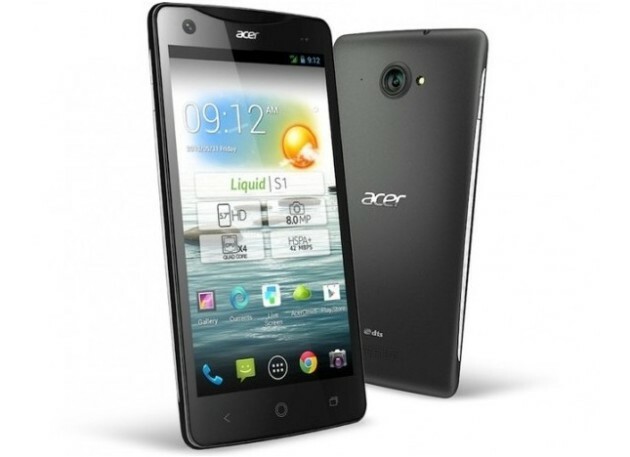 The Liquid S1 is Acer’s first phablet—phone tablet—and will run on Android 4.2 Jellybean. It’s not a bona fide beast of a phablet, but it’s got some stuff going for it. The Liquid S1 sports a 5.7 inch, 720p display, a 1.5 GHz quad core processor, and an 8 megapixel rear camera. There will also be Acer’s own Float User Interface allowing for apps to float about on screen and can make use of voice actions. Missing from the essential specs was the RAM size. Also missing is a release date–even a general one. While the Liquid S1 doesn’t have 1080p and 4G LTE, it does sport an attractive price tag for what it does deliver at $454. That aside, it looks to be a very solid phablet that will allow for multitasking and that’s what everyone wants in a device in this day and age: for it to do more than one its name would lead you to believe. Does Acer’s Liquid S1 look appealing to you?